Central Board of Secondary Education, CBSE Class 10 board Examination 2018 have ended for almost everyone across India and abroad. As many as 16.88 lakh students have reportedly registered and appeared for the CBSE Class 10 2018 examinations. 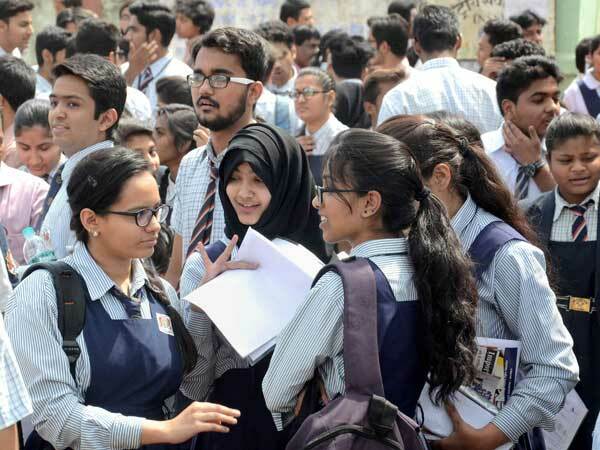 The results for CBSE Class 10 are now expected by end of May as the board has announced that it would not be re-conducting the Class 10 Mathematics examination which was reported to have leaked. Here are the important changes that have been introduced this year which would have a direct impact on the results. They are listed below.Please note that the CBSE Class 10 examinations are not over yet for the students from Punjab. The students in Punjab would have to appear for the CBSE Class 10 examinations on April 27. The examination of French, Urdu, and Sanskrit of CBSE Class 10 2018 examinations were originally scheduled for April 2 but were recently re-scheduled for April 27, 2018 following a law and order situation in the state on the said date. For rest of the students, the examinations are over. Examiners involved in the evaluation of the answer sheets have confirmed that the checking is almost complete and the compilation work is set to begin for most of the subjects. Here are some important changes and updates that you should know that would affect the CBSE Class 10 Results 2018.Internal and External Marks to be clubbed for determining pass percentageCBSE, in an official notification, had confirmed that it would be combining the internal and the external marks as a onetime measure this year for determining the pass percentage of students. In essence, it means that is a student has been awarded 15 out of 20 marks in the internal assessment by the school, the child is required to score just about 18 out of 80 marks to score 33 percentage which is the passing score to be awarded a pass. Please note, this is only a one time measure and applicable only for CBSE Class 10 Board Examinations 2018. In ordinary circumstances, a student is required to get pass percentage of 33 or 40 percent in both internal and external examinations to be declared pass.